Cordura and 1,8 mm water-resistant suede upper. Gore-Tex lining , waterproof and breathable. Midsole in Eva double density. 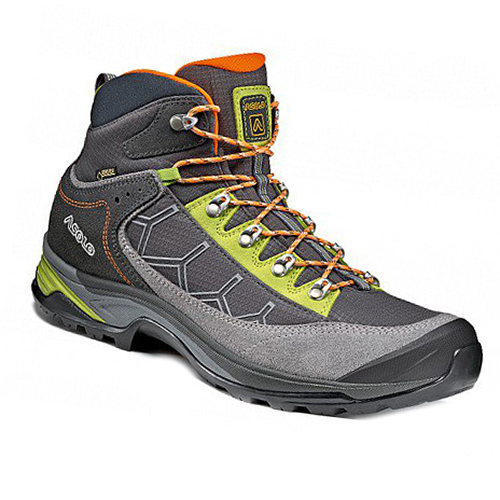 Outsole Radiant Asolo/Vibram Megagrip highly technical sole, the balance of the outsole has self-cleaning lugs designed for optimum performance on varying types of terrain. Classic lacing system. Toe cap in tpu.